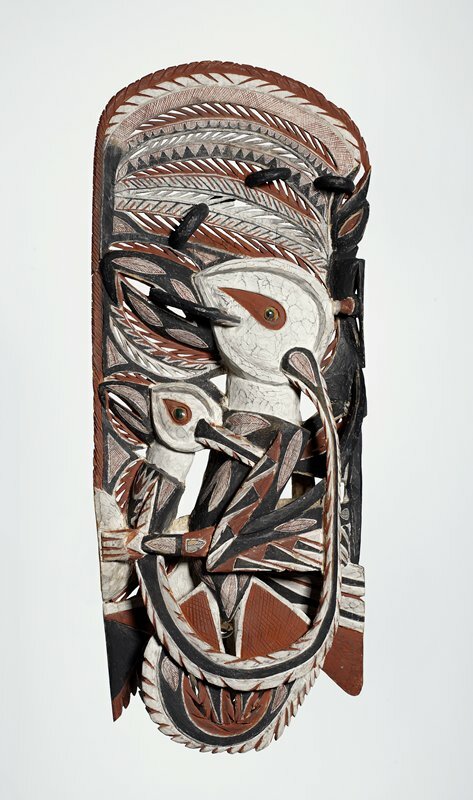 This frieze is a bold interpretation of the New Ireland theme of birds and snakes in struggle - a common subject of ceremonial malagan sculpture and dance performances because it represents the idea that the sky (birds) and earth (snake) preserve the natural order by their constant opposition. Two chickens, surrounded by stylized foliage, accompany a smaller frigate bird along the top edge. The three birds hold the body of an undulating black snake in their beaks.